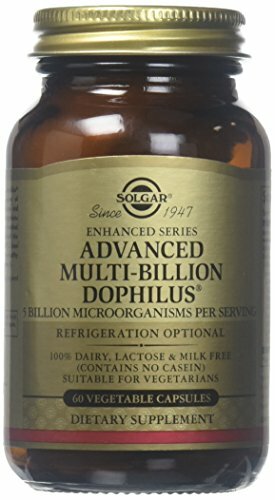 Solgar’s advanced multi-billion dophilus vegetable capsules are a source of l.acidophilus, b.lactis, l.paracasei and l.rhamnosus gag, beneficial microorganisms that naturally reside in the lower digestive tract. Helps to maintain a healthy intestinal flora. Dairy, lactose and milk free. Suitable for vegetarians.